You’ll always find the style you want at Bonnie’s A Cut Above hairstyling. Featuring haircuts for men, women, and children, we also offer mustache and beard trimming, bang trimming, hair coloring, hair highlighting, foils, corrections, eyelash coloring and special effects. Waxing, ear piercing & more. Hours of operation vary seasonally. To be sure we are open and available, call ahead 633-6216. Come to Bonnie’s A Cut Above to let your beauty shine through. Make your wedding a cut above, bridal services starting at just $65! 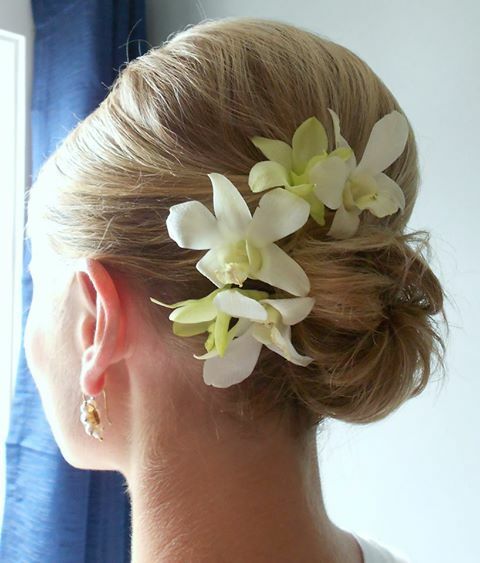 Specializing in “on location” wedding hair services!